As word filtered through of $500,000 being paid for a very significant HT GTS 350 we happened upon this trio (minus one) of Chevrolet-engined Monaros, all being sold at a seemingly insane price. Back in 1995 Australia was emerging from a recession and finding even one buyer with $25,000 to spend on a Monaro was tough. Lassoing three must have been nigh on impossible. A decade later the market began to boom and values topped $200,000. Today they are back at those levels or beyond and these cars would all be very much in demand. 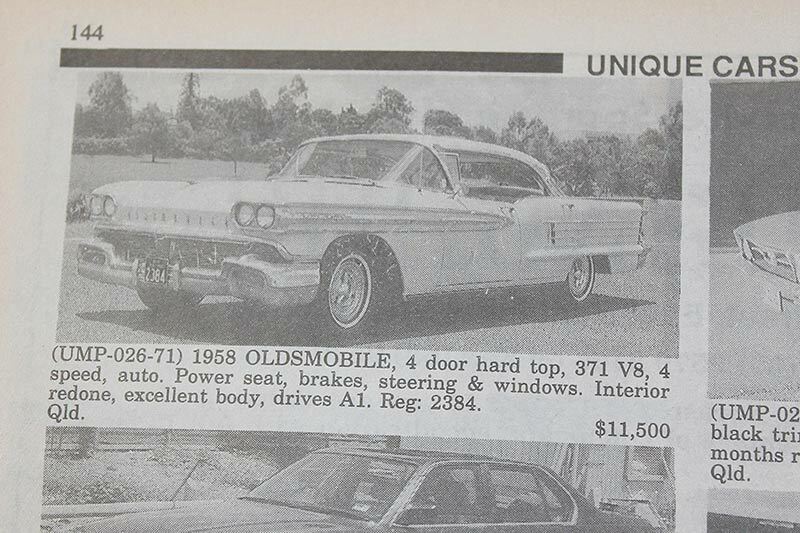 What a brilliant deal this classy Oldsmobile Hardtop looks to be. Peering through the windscreen it is possible to make out the curve of a steering wheel on the left of the car so presumably it was a fairly recent import. US cars of this quality very rarely came here when new due to prohibitive customs duties and the cost of right-hand drive conversion. However the odd LHD Olds or Buick did make it through as a diplomatic import. Hard to find now and US sales suggest a nice Super 88 like this would cost around four times its 1996 asking price. 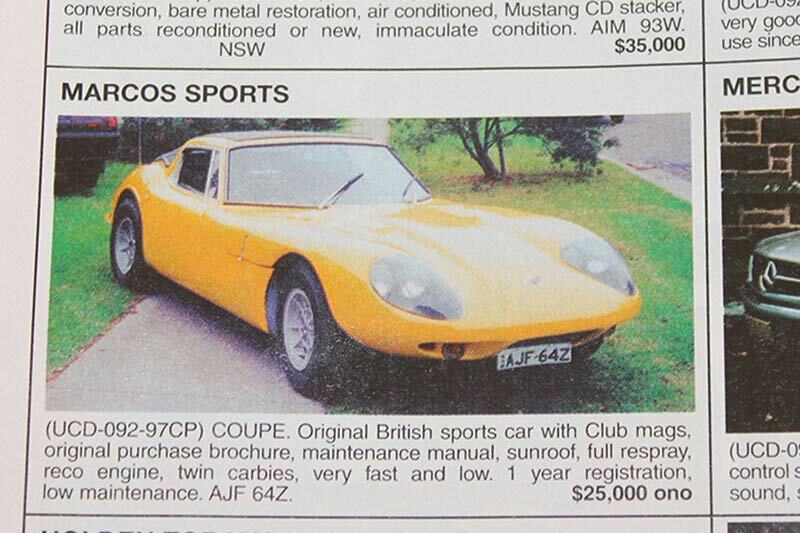 Despite the best attempts of some keen car importers, the Marcos with its wooden frame and claustrophobic cabin wasn’t a big seller in Australia. The GT was offered factory built or as a kit and suited a range of engines including Ford’s V4 and V6. Towards the end of the company’s life, Rover’s alloy V8 became the brand’s mainstay. About 700 GTs were made however surviving cars are rarely seen here. Values overseas aren’t strong and anyone paying the 2002 asking price would need to love their car for more than monetary reasons. 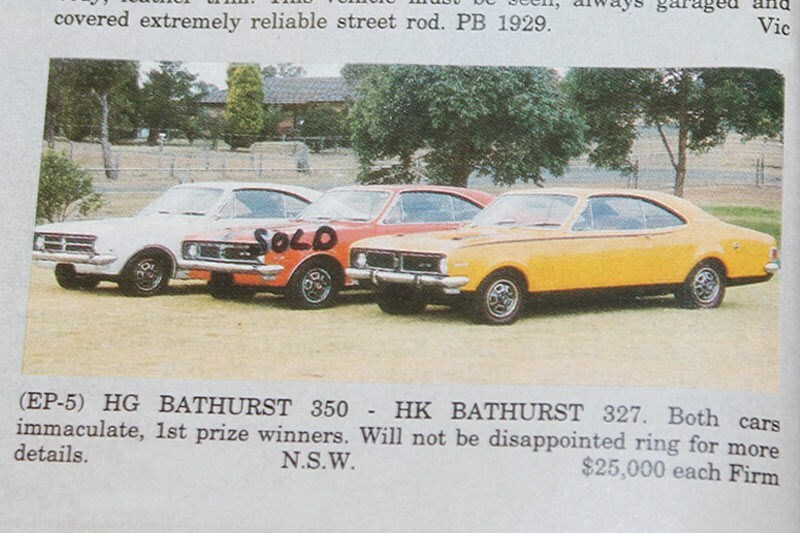 As the ad says, these were and remain a very rare car in Australia. 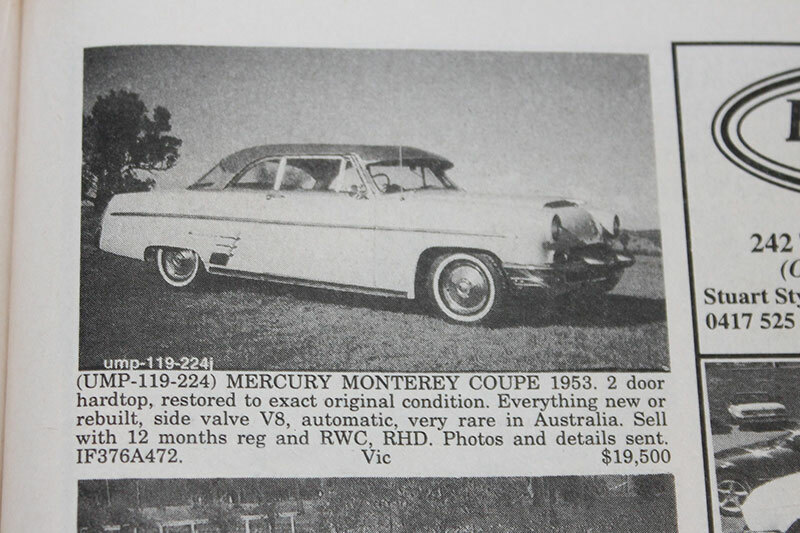 Once Ford Australia dropped Mercury as a locally-assembled brand it brought virtually none in from North America. This car was likely acquired from Canada (also part of the British Empire) and built right-hand drive so no conversion was needed. It looks to be very original and if not acquired by a local enthusiast my well have headed to the USA. There, cars in untouched condition currently make US$25-30,000 – double that amount when customised in authentic 1950s style.